Quicken Loans Carrier Classic Wrap-Up | The 2012 Carrier Classic is Here - Learn more! Wow. The 2011 Quicken Loans Carrier Classic went off last night without a hitch and man, was it an event to remember. From President Obama’s audience address to the final seconds of the game, this was one Veterans Day we’ll never forget. Congratulations to UNC for the 67-55 win. I have to admit, I was rooting for MSU (I came VERY close to attending MSU – it’s a long story), but the bottom line is that the best team of the night won. No question. And THANK YOU to our veterans and service members. I hope they enjoyed the game as much as we did. 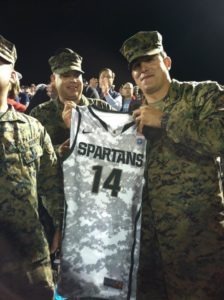 It would our pleasure to sponsor the game and give veterans and America something to truly enjoy on Veterans Day 2011. 11-11-11 only comes one time every thousand years. The Quicken Loans Carrier Classic was an event worth of such a rare and important day. 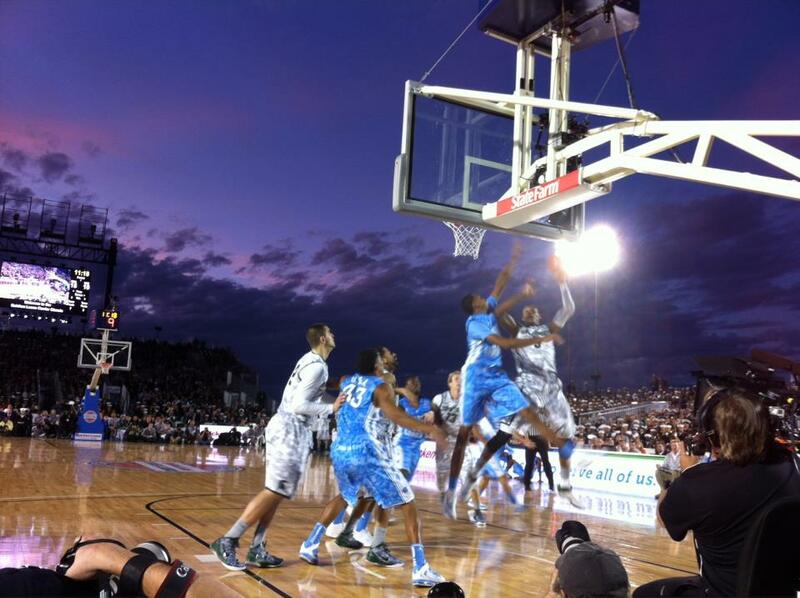 A slam dunk and a score for our veterans, it was. Yes, it was. It was.